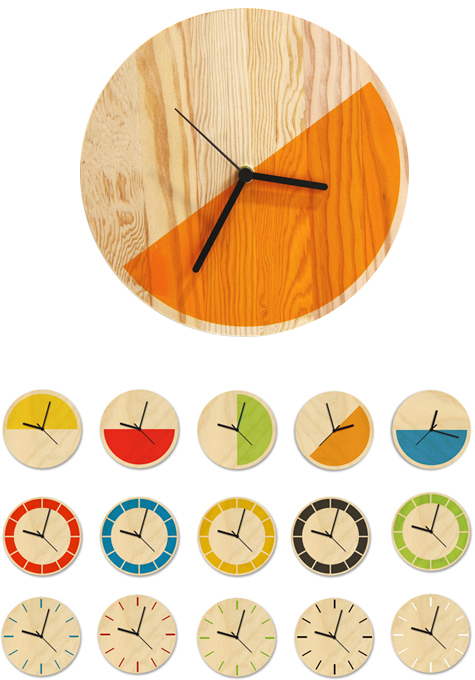 I'm completely smitten with this line of clocks, designed by David Weatherhead - especially the first row. I like the idea of removing the hours and instead designating a "section" of time for work, or play, et cetera. All you have to do is glance at the clock face to know what you should be doing, or perhaps where you should be!